Before going on "budget lock-down" (see my post from yesterday about that here), I did a little bit of shopping for spring clothes. It felt a bit like indulging on Mardi Gras when you know that Lent is just a day away. Or maybe when you're going to start that diet... tomorrow. I didn't go too crazy, but I did buy quite a few items for spring. Here's what I bought. One of my goals for April was to buy some spring clothes, so I can certainly check that one off. For the most part I stuck to my list, although I couldn't resist the tassel earrings from BaubleBar's Target line, SugarFix. I needed some tops that could double for work and weekend, as well as some neutral flats. While I didn't have them on my list, the chambray shirt and printed pants were items I knew I would get a lot of wear out of, so they were good purchases as well. I'm pretty happy with what I got! 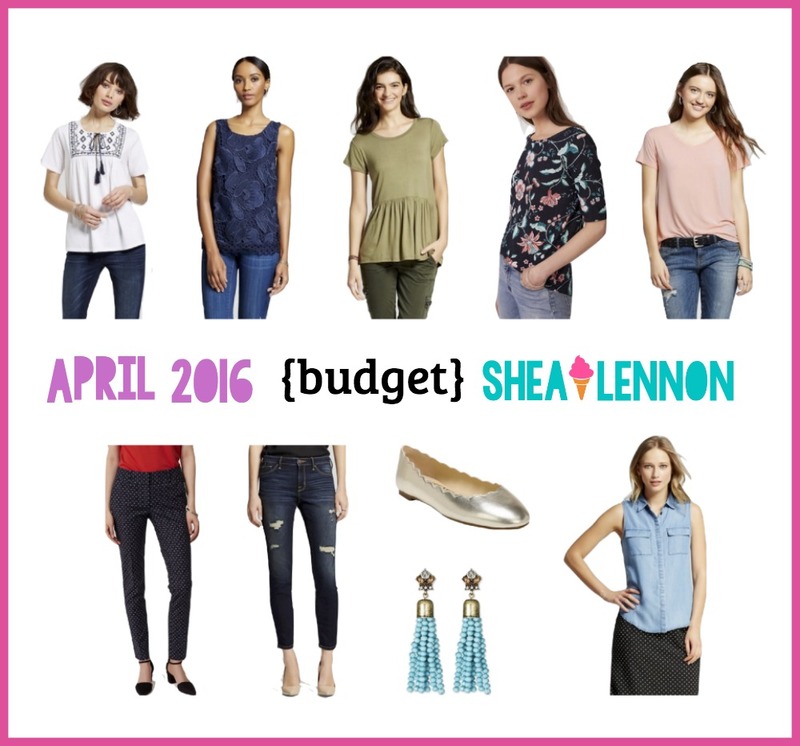 Did you add anything fun to your closet this month?